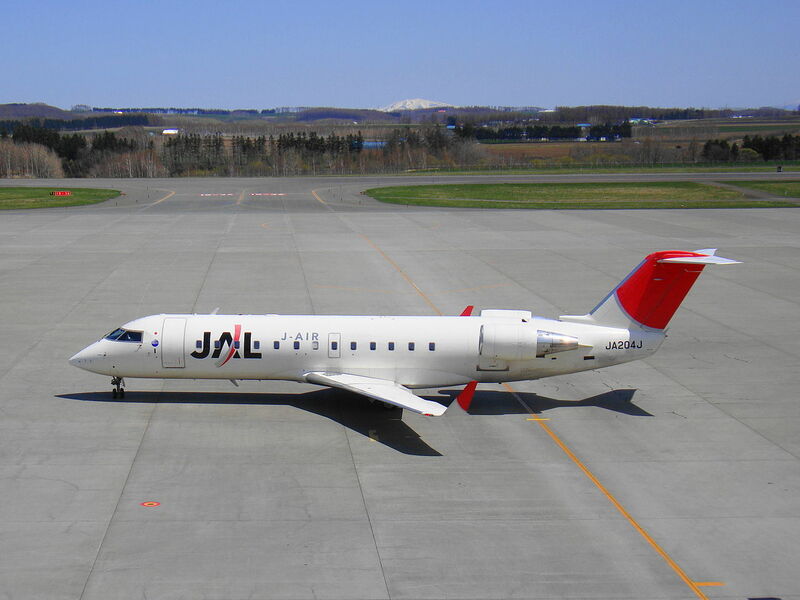 The Bombardier CR2 aircraft is the Bombardier CRJ200 regional jet. CR2 is the IATA (Interational Air Transport Association) aircraft code. The CR2 aircraft code is primary used by airlines in schedules and on airline travel websites to identify the CRJ200 aircraft. The Bombardier CR2 aircraft code is not used by air traffic control or aviation regulators to identify the aircraft, they use the ICAO code for the CRJ200 Aircraft. Bombardier CR2 Engine - GE CF34-3B1 – Information on the Engine for the CR2. Bombardier CR2 Electrical System – Learn about the Electrical System. Bombardier CR2 ER – Information on the CR2 ER version. Bombardier CR2 Range – Range information for the CR2. Embraer CR2 – Learn if there is an "Embraer CR2"
Bombardier CR2 Type Rating – Detail on the type rating for the CR2 aircraft. Bombardier CR2 Training – Get details on training for the CR2. Bombardier CR2 United Express – learn about the CR2s operating for United. Above Bombardier CR2 Aircraft Photo on Wikimedia Commons.